Hiring a tree service is a big decision. For one thing, quality tree care is an investment on your end. The last thing you want to do is choose a company that winds up ripping you off. At Pro Tree Service in Prospect Heights, we do things differently. Our staff treats you with the utmost respect, answering any questions you may have. Not to mention, we’re completely transparent in everything we do. Pro Tree has been performing exceptional work for nearly three decades. We are equipped to tackle the smallest and largest of tasks. Affordability – Homeowners are often reluctant to contact a tree service because they’re scared to get the bill. Customers would agree that Pro Tree provides a breath of fresh air in the industry. Thanks to our Best Price Guarantee, you never have to concern yourself with outrageous prices. Just bring in any reasonable, written estimate and we will beat it by 10 percent. Reliability – What good is a tree care company that isn’t dependable? We aren’t one of those businesses that open up in the spring before shutting down in the fall. Things happen with trees all year long that warrant immediate attention. It’s why Pro Tree offers 24-hour emergency response options. 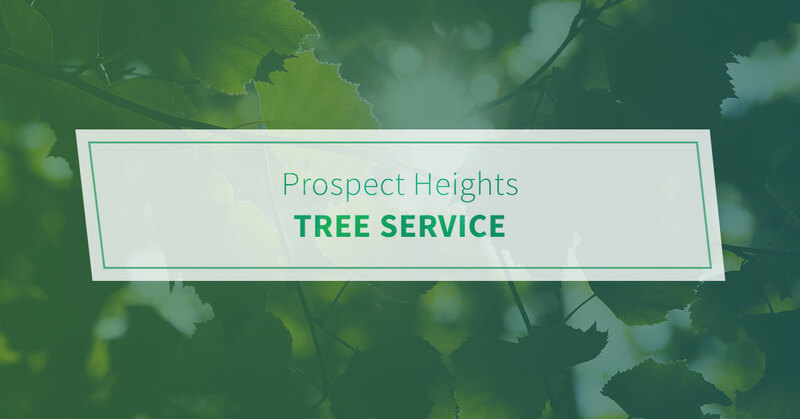 Fully licensed, insured and bonded – Pro Tree takes on all liability when we step foot onto your property. We are legally incorporated and carry commercial general liability, workers’ compensation, and all required municipal bonds and licenses. From tree removal to tree trimming, see how we can transform your yard for the better. Pro Tree is here to handle your residential and commercial needs. Give us a call today to request an estimate.